CCMPL is committed to providing technical support to every client in order to improve the quality of their formulations and develop cost effective formulations. The technical services team is well trained to work at the customer's site and provide solutions to their satisfaction. Staff is regularly trained for safe working in the chemicals unit. All units are equipped with adequate fire fighting equipments. On site and off site emergency plans available at individual sites. Socially responsible and environment friendly. All units are equipped with effluent treatment plants. Individual units are members of their respective CETP's (Central Effluent Treatment Plants). Any discharge to CETP is first treated and tested as per MPCB norms in the laboratory. Centralised R&D is based at Vasai equipped with latest third generation instruments. Development of Emulsifiers and their stability studies carried out at Badlapur unit. All laboratories are equipped with state-of-the-art equipment in order to bring the most promising products into the market. 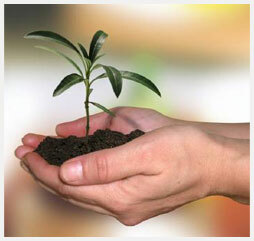 Expertise of highly skilled manpower having extensive experience in the agrochemical industry. Home - Introduction - About - Mission - Products - Services - Infrastructure - Clients - Partner with us - Inquiry - Contact © 2013 Core Chemicals Pvt. Ltd.